That’s what the old painted sign says, and I shopped here plenty of times during the 1980’s too. Gabriel’s party store was purchased by others long ago, but when it was Gabe’s, myself and my friends were able to purchase beer here at will. The owner wasn’t concerned with sales to minors back then. Today, doing so is a very risky business. But ohhh the good times we had at parties and in the wood having big bonfires while tobogganing those hills all night long! 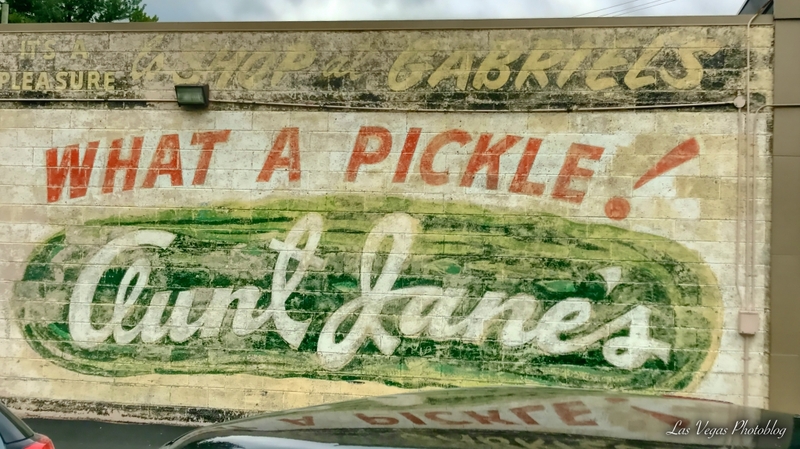 I searched for Aunt Jane’s Pickles, they seem to be out of business.